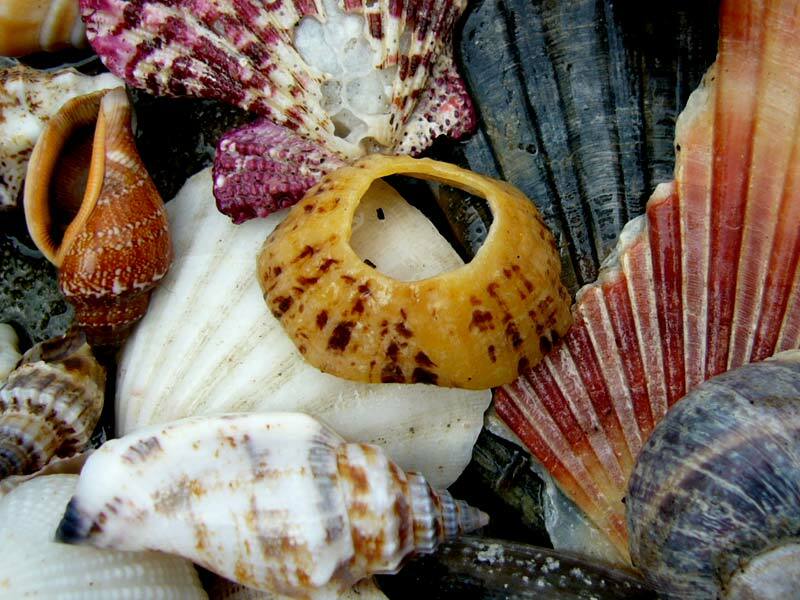 A collection of seashells, gathered into a group and photographed. Our kids collected them once on a beach, and I thought they looked pretty. The kids love collecting things on the beach, but once they're back home, away from the sea and sand and water, the things that were collected are soon forgotten.